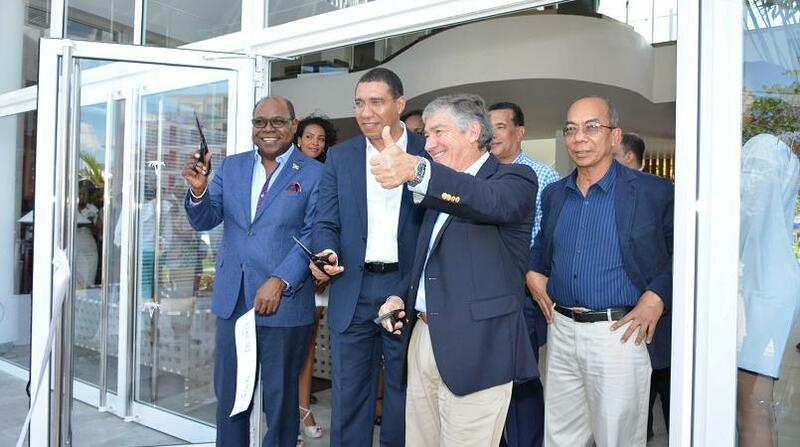 From left to right: Tourism Minister Edmund Bartlett, Prime Minister Andrew Holness; Lisa Gardner, general manager of the S Hotel; Governor General Sir Patrick Allen; Head of Crissa Group- developers of S Hotel Christopher Issa and Montego Bay Mayor Homer Davis at the hotel opening on Montego Bay's Hip Strip. 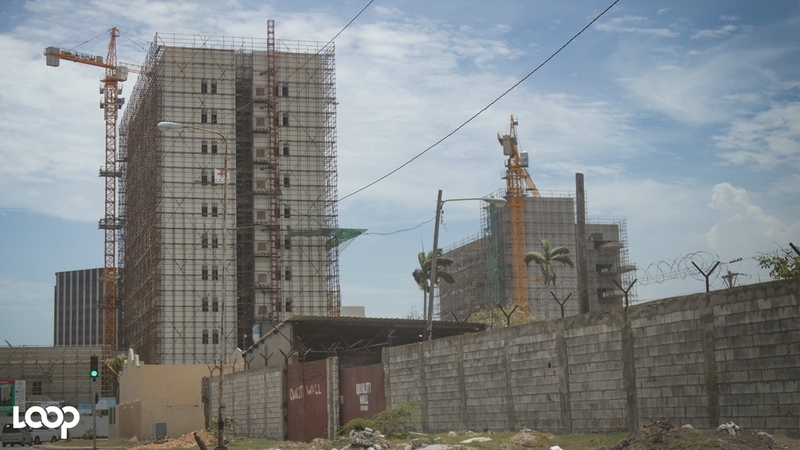 Prime Minister Andrew Holness says the opening of the S Hotel in Montego by the Crissa Group, operators of the Spanish Court Hotel in Kingston, is in keeping with the results of the recently published survey of business confidence which demonstrates positive investment intentions by business owners. 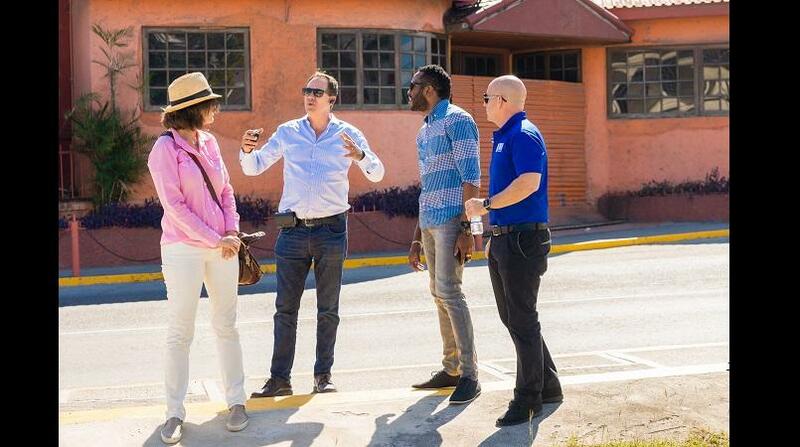 Delivering the main address at the official opening of the hotel on Montego Bay’s Jimmy Cliff Boulevard popularly known as the “Hip Strip”, Holness said the hotel venture represented a willingness by the developers, to take the risks associated with investing. “Government’s role is to make it easier for the private sector to take risks,” the prime minister said. He said the macroeconomic indicators, including record levels of employment, as well as the crime-fighting efforts underway in areas of the country such as St James, were assisting investors, adding value to the investment climate and to the development of industries such as tourism. Describing the current macroeconomic climate as one of buoyancy, Holness said he was pleased with the survey results indicating that some 55 per cent of business owners surveyed intended to expand their businesses over the next 12 months. The prime minister pointed to what he said were examples of prime properties and other assets being idle or underutilised instead of contributing to employment creation, economic growth and prosperity. He added that in the coming months, the government would be making its own contribution to stimulating production and economic growth through a policy of full asset utilisation. The programme involves making available to the private sector, several underutilised government assets through a mix of privatisation, public-private partnerships, corporatisation and listing on the Jamaica Stock Exchange. The process, the Prime Minister said, would be competitive and transparent. 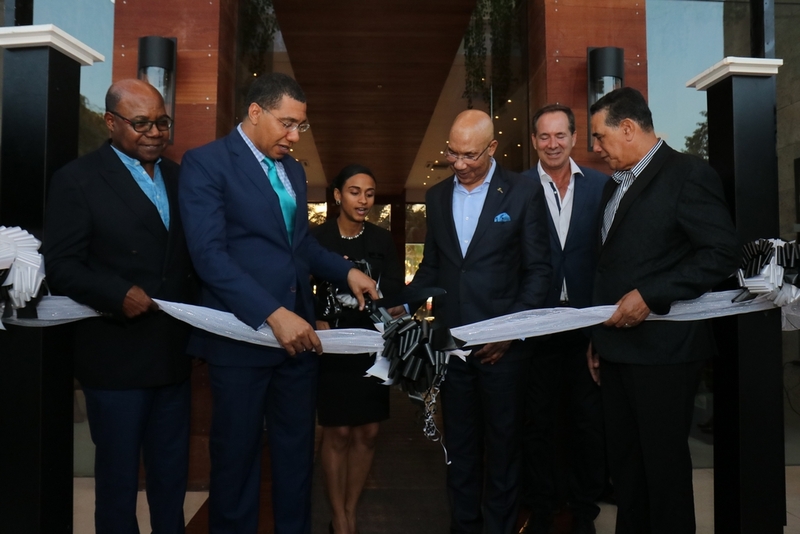 Holness commended the 120-room S Hotel for leading the renaissance of Montego Bay’s Hip Strip, which has recently seen the resumption of some closed businesses and the opening of new ones. He described the venture as one of courage that adds value for the people of Montego Bay and Jamaica. In addition to the Prime Minister, the Governor General and Lady Allen, the official opening ceremony was also attended by former Prime Ministers PJ Patterson and Portia Simpson Miller; Opposition Leader Dr. Peter Phillips; Minister of Tourism Edmund Bartlett; Minister of National Security Dr Horace Chang; former tourism ministers Dr. Wykeham McNeill and Aloun Assamba; several Members of Parliament and a cross-section of business persons from western Jamaica.